When the owners of a lovely barn conversion in Buckinghamshire approached us with a view to extending their home, we made an appraisal of how this could be quickly and practically achieved. 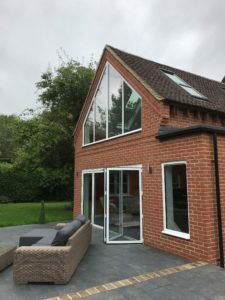 A small (and rather inharmonious) conservatory had been added to the side elevation in the past, and our advice was to replace this with a more attractive – and larger – single storey kitchen extension. An added benefit of our design is that because the extension is to the side elevation and does not exceed the dimensions allowed under Permitted Development (PD) legislation, then planning permission is not necessary. However, we advised applying to the Local Authority for a ‘Lawful Development Certificate’. Aylesbury Vale District Council agreed that our design came under Permitted Development rights and issued the Certificate. Our client looks forward to moving ahead with the build as soon as possible. If you would like advice on which types of domestic or commercial development come under Permitted Development rules, do get in touch with us. 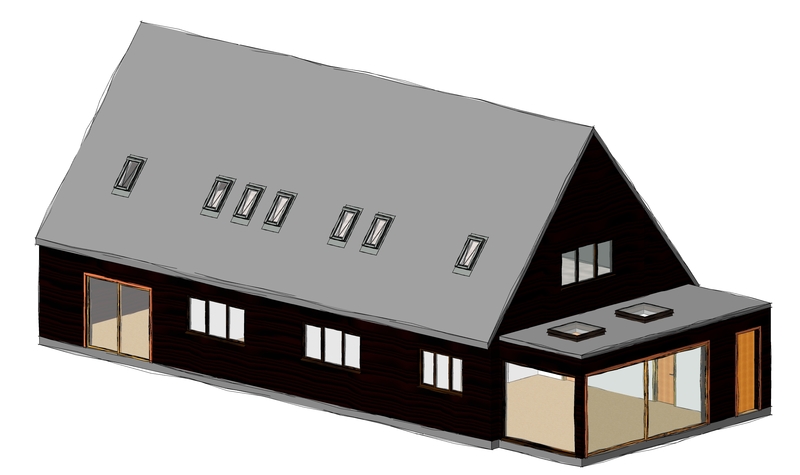 This entry was posted in Barn, Barn conversion, Buckinghamshire, design, extension, permitted development on August 21, 2017 by admin. 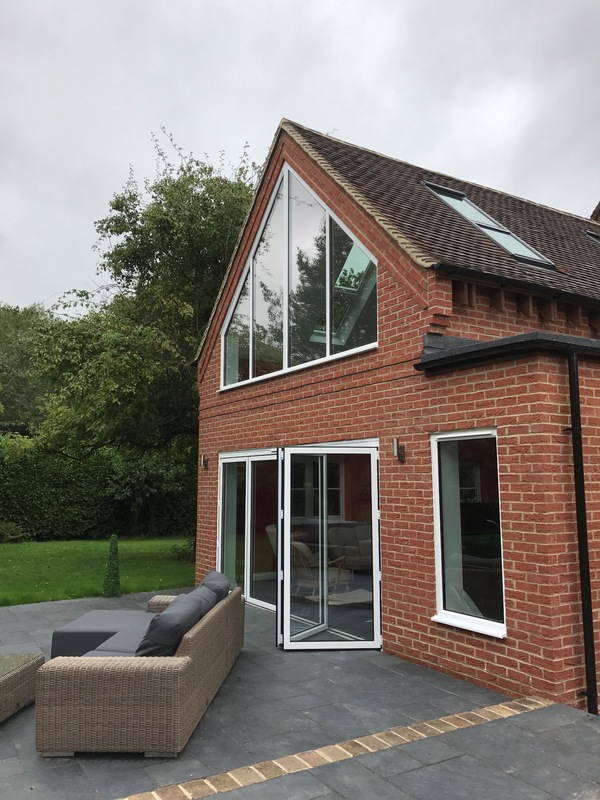 Last week, we were pleased to be present at the final handover of a residential rear extension to a detached home in Buckinghamshire. The original brief was to design a space large enough for a full-sized snooker table. We developed a design for a one and a half storey room with glazed doors, applied on behalf of the homeowner for planning permission, assisted with procurement of suitable builders, and then carried out project management of the build. What we were not expecting upon our final visit was the bold interior design scheme which had been carefully chosen by the homeowner for his new games room. 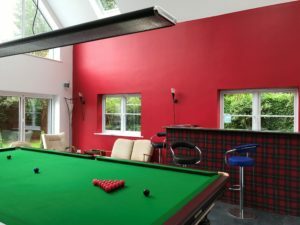 The green snooker table is contrasted by bright red walls, and a very fetching bar, the front of which is apparently clad in the owner’s family tartan! The room has a bright, fun feel – great to entertain and relax in. This entry was posted in Aylesbury Vale District Council, Buckinghamshire, design, extension, House Extension, planning permission, project management, Residential, Uncategorized on August 15, 2017 by admin. 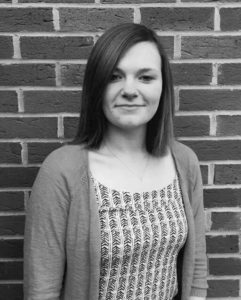 This week, we are delighted that last year’s work placement student, Lauren Winfield, has returned to us on a permanent basis in her new role as an Architectural Technologist. High-flying student Lauren graduated in July from UWE with a First Class Honours degree in Architectural Technology and Design. And as the icing on the cake, Lauren was also awarded the prestigious ‘Graduate Student of the Year’ prize by CIAT South West. This is awarded to the student who has performed at a consistently excellent standard across all course modules. Lauren is relishing the prospect of working on a variety of projects at PCMS Design, from residential to public sector schemes, and is already settling back in by working on construction drawings for a home extension and a new school building. This entry was posted in architectural technologist on August 3, 2017 by admin.